Crown Point is named after a fortified town in New York State. It was where a battle took place during the French War in North America (The Seven Years’ War) which resulted in a British success. In command of the British troops was General Money, who later purchased the estate in Trowse which he called Crown Point to celebrate his victory. The surroundings of the ruins of Trowse Newton Hall were changed to marked degree by the development of Whitlingham Broad as a leisure facility. Whitlingham Lane was diverted and the nearby barn, part of the farmyard associated with the Hall, was converted to form a coffee shop for the visitors to the Broad. 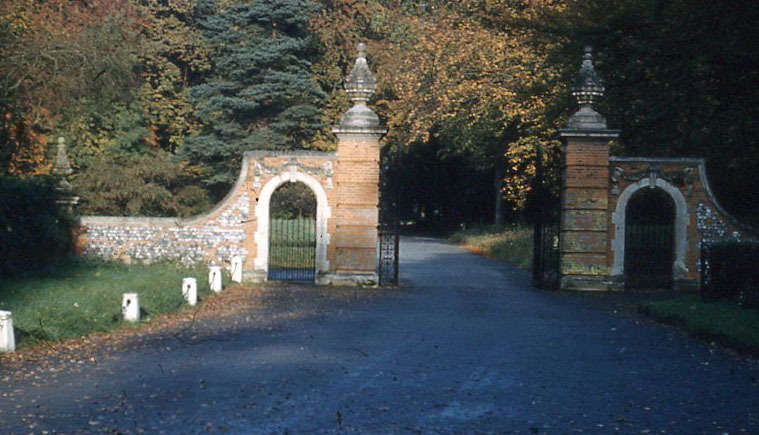 A car park was built adjacent to the double avenue of lime trees near the Hall. 150 years ago Trowse Millgate and Trowser Newton, which since the 17th century had incorporated Whitlingham, together made a bustling village. 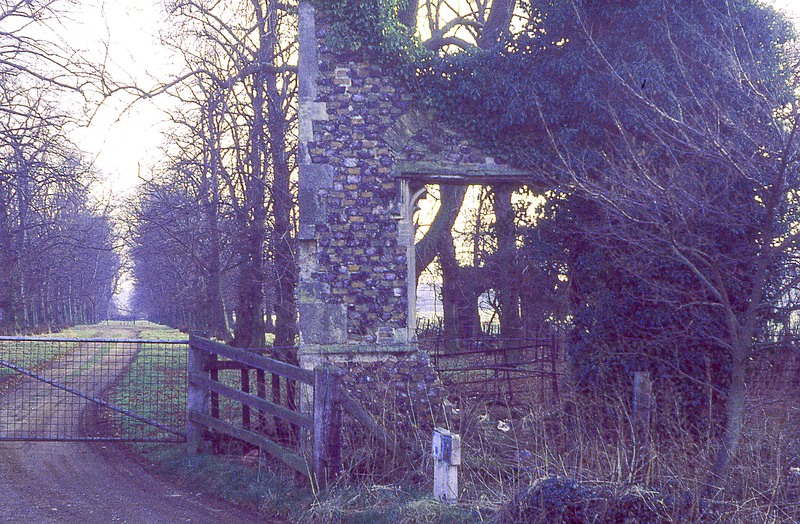 Whitlingham was not just a place of pleasure and relaxation as it is today, but a centre of industry. A limekiln was in operation where the steep cliffs approached the river. 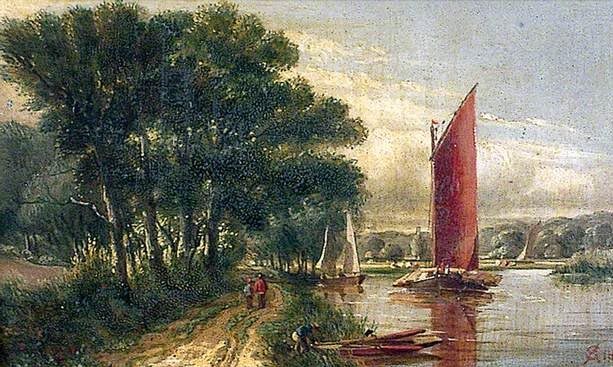 Wherries were frequently at Whitlingham quay unloading barrels of beer from Norwich and returning with quicklime. The White House was the local pub, and was where the ferryman lived. The ferry gave dwellers in Whitlingham access to Thorpe Green and Whitlingham station which was opened in 1844. This was on the Yarmouth line built by George and Robert Stephenson. The street in Trowse Millgate gave access to Trowse station on the London line. The Pineapple pub was adjacent to the station at Trowse and stood on the road that used to take horse-drawn traffic to the south. A level crossing originally existed here before the bridge was built. Some of the livestock sold at the cattle market under the walls of the castle were grazed in Trowse, but far more were unloaded from cattle trucks in sidings at Trowse station, to be returned under new ownership to the same station and despatch to fresh pastures or the abattoir. Where the cattle trucks used to be loaded and unloaded is now a depot for sand. The entrance to Crown Point from the Kirby Road, 1958. A friend who has relatives in high places once had an encounter in Scotland with a distinguished person who said: “Oh, you live in Norwich. We have friends in Tryce.” It took her some time to work out that she meant Trowse.